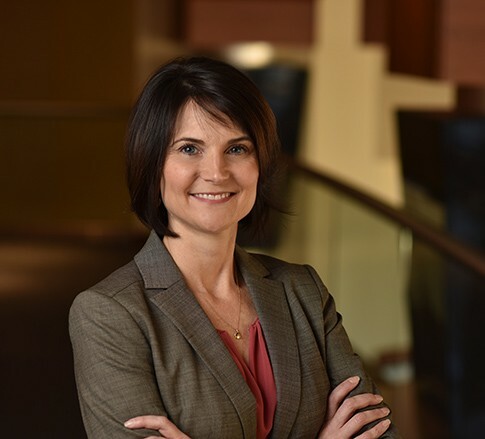 Christina T. Brumley is a Member in Coal, Energy and Oil & Gas, Health Care and Construction industry groups, focusing primarily on business law, mergers and acquisitions, and real estate. She practices out of the Firm’s office in Charleston, West Virginia. Christina is used to wearing many hats. Before rejoining the Firm in 2011, she left Jackson Kelly to serve as deputy general counsel to one of the Firm's clients, International Coal Group, Inc. As a member of an in-house team, Christina gained valuable experience about what clients want – after all, she was one herself. With her in-house experience, Christina has a broad background in the various contracts an energy company may need, including correlative rights agreements, mineral leases and deeds, easements and right of way agreements, coal sales agreements, equipment and fuel supply agreements, contract mining agreements, equipment sales including domestic sales and exports, and independent contractor agreements. That experience has been invaluable in also developing commercial leasing and construction law practices. Most recently, she has used her transactional experience in the health care field, representing clients ranging from small practices to hospitals in matters from selling a practice to associating hospitals to provide better services to smaller communities. Her background is well rounded, having been trained as a young lawyer in commercial litigation, representing clients in contract and property rights disputes, and advising clients on communications law, representing broadcasters in matters before the FCC and advising them in defamation and advertising law. Christina also finds time to serve within the legal community. She is a member of the Energy & Mineral Law Foundation and was a founding member of the Women’s Energy Network. Currently, she is most actively involved with the West Virginia Bar Association, serving as the chairman of the Business Lawyers Division and a member of the Executive Council. She is also driven to serve her community. She serves as an officer and board member of The Education Alliance, and has served on the boards of the Alzheimer’s Association of West Virginia and the American Lung Association. She also led a troop for the Girl Scouts of the Black Diamond Council for several years with the firm’s partnered elementary school. During her personal time, she enjoys spending time with her family, expanding their palette by trying new recipes (sometimes with success), and traveling. On occasion, you’ll find her on the golf course. She might give you an advantage from the red tees in a golf scramble, but just don’t ask her to putt.